The easy way to get lawn mowing and more from the top lawn pros in Riverside. We currently have no rainfall data available for Riverside, CA. 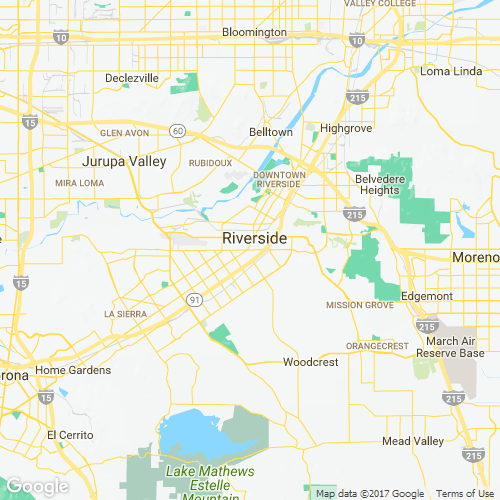 Riverside is located near Los Angeles, California, but shouldn’t just be a pit stop on your way through to the big city. Riverside is a great place to live and work, offering hundreds of different activities for the art enthusiast, history buff, sports fan, or kid-at-heart in your family. Your first stop next weekend should be the Mission Inn Museum. This site depicts the history of the building, a grand hotel built in the famous Mission Revival Style. Very close to the museum is the Riverside Metropolitan Museum, which showcases the area’s history, culture, and natural artifacts. Art enthusiasts, on the other hand, will enjoy the UCR/California Museum of Photography, which showcases hundreds of vintage cameras and photographs of all kinds. The 1920s Fox Performing Arts Center hosts comedy shows, concerts, and theatrical performances throughout the year, while the University of California Riverside Botanic Gardens offer over 40 acres filled with 3,500 different species of plants. For an experience that is slightly less educational – and a little more thrill-inducing – pay a visit to Castle Park. This compact amusement park is designed in carnival-style, and features live entertainment, thrill rides, and arcade games. Fairmount Park is another must-visit spot. Offering up serene rose gardens and lakefront picnic areas, along with paddle boats for rent and a sprawling golf course. While Riverside has many outdoor activities to enjoy, lawn chores shouldn’t be anywhere near your list of options this weekend. You work hard, and you shouldn’t spend your weekend hours working hard on your lawn. Instead, outsource all that work to LawnStarter, California’s premier lawn care service. LawnStarter offers everything from tree trimming to lawn mowing, and we are excited to work with you to make your lawn care dreams a vivid, verdant reality. 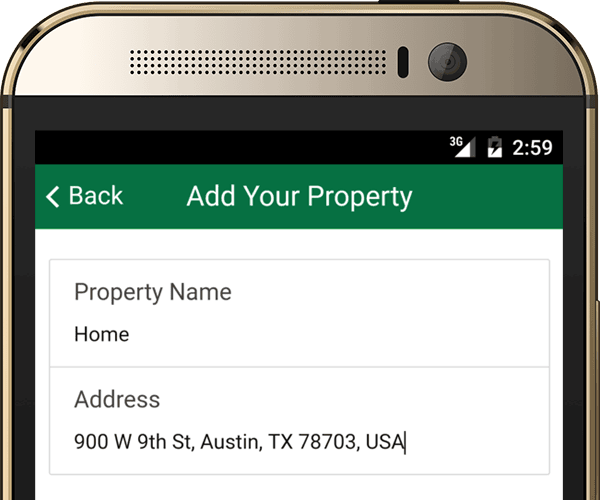 To get started, install the convenient LawnStarter mobile app. 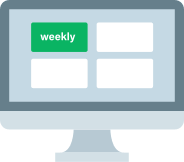 This program, which is compatible with both Apple and Android devices, allows you to schedule, cancel, and modify services, all from the comfort of your own home. If mobile browsing isn’t your style, we also offer an accessible desktop website. Once you’ve provided us with your zip code, we will send you a list of services, along with potential start dates and prices. You pick the services that work best for you, and as soon as you confirm, we’ll be on our way to making your lawn care dreams a reality. Sick of spending every weekend trudging along at your lawn care tasks? Contact LawnStarter today, and get back to enjoying everything that Riverside has to offer. Here at Austin's Lawn Treatment & Lawnscape we believe in providing the best possible service at a price that everyone can afford. Our experience sets us apart and will leave you completely satisfied with your lawn. We specialize in local plants and upkeep, so rest assured you're in good hands! Diggins' is a family-owned company with a passion for customer satisfaction. We are here to serve our customers and provide a great lawn at an even better price. Our high quality standards are reflected in our work. We're your last stop for lawn care services. You'll have peace of mind that your lawn will be cut properly, on time, and with properly maintained equipment. We want you to be 100% happy with your lawn! Norberto does wonderful work! He is also very communicative. My yard is now leaf free and mowed. It looks just beautiful! Marco did a great job! I was glad I was home when he came by. Very nice young man!! Nice job on the lawn and edging. Thanks for getting most of the leaves as well! great job as usual! We are very happy with Zachary. Robert and team did a great job! The yard looks wonderful but I would like to increase the height of the grass. It's a little too low for me. Thank you. It looks fabulous. Thank you so much. Thank you! It looks great!!!.. Very nice cut, looks great except for a few small branches left in the yard. Bush trimming looks great! Thank you. Very happy with the Lawn. LawnStarter pros will let you know what your lawn needs. Here are some recent recommendations for extra lawn services in Riverside, CA. Description: Back yard, Left side The back yard on the left side is severely overgrown with plants that are beyond the capabilities of my trimmer or lawn mower. Will need a bush hog or chainsaw. I did as much as I could while I was here... but my the work was getting more than my equipment could handle. Description: Full yard Add mulch where needed in the front and backyard flower beds. Description: Front yard Cut the saplings on front tree and cut dead grass of rose bushes. Leave clean. Description: Back yard I can haul off the cut limbs and debris in the backyard. Description: Backyard I see that a branch fell down in your back yard. I can cut it up and move it to the road without any hastle. If not, I'm content to just cut your yard. Thank you! Items Needing Service: Trim any branches touching roof of home. Location on Property: Right front of roof when facing home. Items Needing Service: Trim trees in front and back yard. Are there watering restrictions in Riverside, CA? Does Riverside, CA have long / overgrown grass ordinances? If the property is mowed or the weeds cut by hand (either with handtools, handmowers, weed eaters, ect.) all tall grass and weeds shall be cut to within one (1) inch of the finished soil surface. All cuttings shall be raked an properly disposed of. "What's your number one tip for improving the backyard of your home?" Trimming the weeds and tall grass is a simple thing which can quickly transform the appearance of your yard. After mowing your yard, a quick trim with a string trimmer of the grass and weeds that your lawnmower missed will work wonders for your yard. Trimming around the perimeter fence, around tree trunks (be careful to not dig into the bark), and along any other raised driveways or foundations will quickly convey the message that your yard is tranquil and in-control. It's the attention to detail, like making your bed, that reflects the impression that this space is cared-for by someone. And it's cheap and easy! I cancelled this service the day after I signed up. I received a cancellation notice in email. I had to turn away the company that showed up today. Lawnstarter did not follow through properly. Alex did a great job and adapted to the specific needs of our lawn! Gary was very friendly and professional. He explained what he was doing yo the yard as well as anything else I might need. I definitely want him as my yard guy. Thank you for sending him . I'm going to look at it today! Haven't had a chance to see it yet. Thank you! Ramiro is the best; works hard, he is courteous, thotough, and easy to speak too. I could not ask for a better, more skilled landscaper! I continue to be satisfied with this service. He keeps a regular schedule and does a great job. Thank you. Looks good, I was home when he arrived and noticed he was efficient but thorough.